Do you want MORE of the good things in life? Do you want to feel more energized and excited about your life? Do you want more in your life and out of your life? Do you want to improve the results you’re currently achieving? Do you want to trust your own inner authority? Do you want to start saying no with confidence and respect? Do you want to own your greatness – and in so doing, inspire others to do the same? Do you want to start living the life you really desire? THEN IT’S TIME TO STOP LIVING A ONE-SIZE FITS ALL LIFE. IT’S TIME TO BREAK THROUGH ALL THOSE LIMITING BOXES PEOPLE ARE SQUEEZING YOU INTO. What makes my personal coaching style unique? I’m a “truth detective” – we’ll get to the crux of issues quickly – helping you gain huge insights and change in a short amount of time. I have the professional and personal experience that enables me to relate intimately and intuitively to both your ambitions and struggles. The clients I coach feel connected with me. They feel understood and heard. My 15-year comprehensive background in education, nutrition, fitness, psychology and spirituality allows me to approach challenges at all levels, leading to lasting change. I am one of less than 300 Certified High Performance Coaches worldwide and currently also working with one of the most followed and influential leaders in the Personal Development world. I’m excited to announce the availability of my exclusive Genetic Personality Profile Test — the only one of its kind in all of North America! This simple genetic test will help you unlock the biological mysteries behind your behaviors and habits, helping you optimize your life for the most sustainable high performance possible. Click here to find out more. I BELIEVE YOU HAVE A PURPOSE FOR BEING HERE. YOU ARE MEANT TO LIVE A LIFE FULL OF POSSIBILITY, A LIFE FULL OF JOY AND MEANING, A LIFE IN WHICH YOU UNDERSTAND AND APPRECIATE YOUR SIGNIFICANCE IN THE WORLD. If you want to break through to the next level of joy, clarity, purpose, confidence and achievement – but don’t know where to begin…you can begin HERE now. 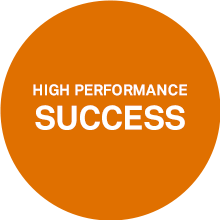 In this comprehensive and elite 12-week executive High Performance coaching program you’ll learn to master the 6 critical pillars of High Performance – your psychology, physiology, productivity, persuasion, presence and purpose. I will teach you proven scientific principles and strategies to help you better master your mind, body and life – and consistently achieve your highest performance levels ever. You will learn the exact strategies the world’s most accomplished and influential people use to manage their emotions, schedule their days, persuade others and keep their passions and purpose clear and alive. The reality is that if you are not following these 6 principles you will find it almost impossible to get ahead. To learn more about Stop Settling, Start Excelling! click HERE now. I’m thrilled to offer four exclusive achievement tools that put you in the driver’s seat on your own journey to unlocking your best life possible. Learn to understand yourself inside and out, take control of your life and your perceptions, and free yourself from the harmful expectations of others. And I’ll be right beside you, personally explaining your findings and helping you apply them to all areas of your life. 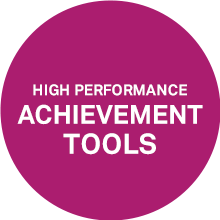 To learn more about these one-of-a-kind Achievement Tools, click HERE now. Once you truly understand what your needs are and what drives your personality, it’s time to fuel up and rock your world. You’ll need consistent energy and stamina to live a life of sustained high performance. And this starts with what you put into your body, how you nourish your body. Discover your own optimal nutrition blueprint and learn how to use it to live a fully engaged life each and every day. To learn more about Inner Change, Outer Results click HERE now. Lauren, thanks so much. We couldn't be happier about Jessica’s success. I have never seen her as excited and positive as she was yesterday when she received the job offer she so wanted. You can certainly take much of the credit for this outcome as you helped her so much over the summer in understanding herself and bettering herself both mentally and physically. Lauren you have made a very happy and focused Colin. Boy, he is intense sometimes!! Your coaching and messages resonated strongly and he really felt you nailed his issues. You gave him concrete action items, which will help focus and allow him to measure success. Thank you so much! Lauren you are an inspiring, effective and committed Coach. Our sessions gave me great insight and the initiative to achieve my goals. As a coach, you are insightful, compassionate and intuitive. You really helped me achieve strategic focus, but most of all, you are an empathetic and energetic human being who genuinely wants to help and understand her clients. Which programs most interest you? ---High Performance Nutrition: Inner Change, Outer ResultsHigh Performance Identity: Meet Your Inner LeaderHigh Performance Success: Stop Settling, Start Excelling! *Currently all programs are available via Skype, phone or in-person.